Do you want to change your career & life? Learn machine learning & data science. Machine learning models with Python will be added to the course within 2 weeks (15 March). Currently course have models implemented in R language. Machine learning & data science are the most sought after skills in the job market today. Data scientists are one of the best paid professionals. This course is a great introduction to data science. Best part I got this in a deal for only 4000 rupees. A big tour through a lot of algorithms making the student more familiar with machine learning. Theory explanation provide good background in clearing concepts, though I think it could be further improved but nonetheless, it is a very good course because it covers every aspect of machine learning with R.
Great course to introduce to machine learning concepts, statistics and visualization with hands-on examples. This course is very practical and helped me to start my machine learning journey. I know I still need to go long way but at this price point, it’s a great course. Career guidance, R programming, statistics for machine learning, data visualization, all major machine learning models. Scroll down for curriculum. Unlike most machine learning courses out there, the Complete Machine Learning & Data Science with R-2019 is affordable and comprehensive. Learn data analysis & visualization with R using Base R functions and popular libraries like GGPlot2, lattice, scatter3d plot, map etc. You will learn applied statistics for machine learning & data science covering fundamentals topics like means, median, mode & also advance topics like descriptive vs inferential analysis, p-value, confidence interval, t-test etc. You will fundamentals of machine learning & data science like-What is machine learning, Introduction to machine learning, Machine learning vs artificial intelligence, Machine learning basics, Machine learning examples, Machine learning tools, Types of machine learning etc. You will implement all major machine learning models like ANOVA, K-Means, KNN, PCA, Linear regression, Logistic regression, neural networks & naïve bayes etc. Get career guidance to help you get into data science to make right career decision. You will learn the fundamentals of machine learning & data science. They will learn what is machine learning & data science. You will also learn about various job options related to machine learning & data science. By the end of this section, you will be well verse with r programming language & r data analysis for handling machine learning & data science projects. By the end of this section, you will have enough information about the fundamentals and types of machine learning models. By the end of this section, you will be well verse with data visualization using R's base functions and libraries like ggplot2, lattice etc. By the end of this section, you will be comfortable with applied statistics which is required to start and understand machine learning models. In this section, we will cover the fundamentals of regression, classification & dimension/data reduction techniques. You will learn the fundamentals of ANOVA technique and implement one & two way ANOVA with R.
In this section, you will learn the fundamentals of linear regression & its implementation in R. You will also get a project to practice. In this section, you will learn the fundamentals of logistic regression & its implementation in R. You will also get a project to practice. In this section, you will learn the fundamentals of dimension reduction & principal component analysis. You will also get a project to practice. Learn data reduction techniques with clustering and K-Means machine learning model. Comprehensive section on tree based models like CART technique and random forest technique with fundamentals of ensemble techniques. 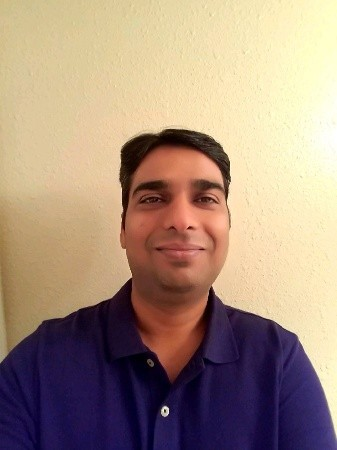 Learn fundamentals of K-nearest machine learning model & implement it in R.
Learn fundamentals of Naive Bayes machine learning model & implement it in R.
Learn fundamentals of Neural network machine learning model & implement it in R.
By the way, my name is Akhilendra Singh, and I'm a business analyst with over 10 years of experience with a Fortune 500 company. I have done numerous courses on machine learning, deep learning & business analytics. As a professional scrum master and certified business analyst amongst other certifications, I've seen how much industries are changing, and data science is growing. I've created the Complete Machine Learning & Data Science with R-2019 course to help you learn the most while going after a new and promising career in data science. This course is packed with information and designed to focus on your data scientist skills and career. Career guidance & how to create a portfolio to attract possible employers. Students who are interested in machine learning, data science and R programming. Professionals looking to move into high paying field of machine learning & data science. This course is meant for beginners and intermediate users of machine learning & data science. Business Analysts, Project Manager, IT professionals, software developers. Advance practitioners of Machine learning & data science professionals. If you sign up and you feel like the course isn't for you, don't worry. 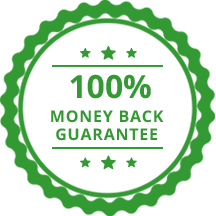 Reach out to us within 30 days of your purchase, and you'll get a full refund. You will get full access to the course as soon as you sign up. You can email me at info@akhilendra.com if you have any question or need any help. 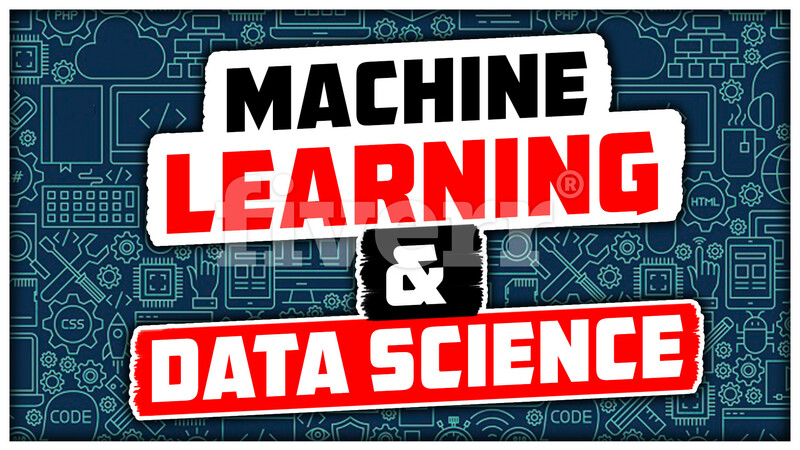 This is one of the most affordable & comprehensive course on machine learning & data science.